We have big news to share! Having formed Hope4Africa in 2013, Ruth is moving on to new adventures. Having served in South Africa for over 13 years, Ruth is sensing a call to return to Wales, her home nation. This move will allow her to be closer to family, and to explore some new ministry opportunities in Europe, while continuing to champion the work of Hope4Africa. 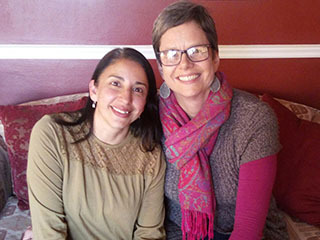 Ruth has handed the ministry over Noelia, who has been part of the Hope4Africa team since 2015. In addition to 3 years experience serving in Joburg, Noelia will bring many years of ministry and leadership experience to Hope4Africa. We are excited to see how Hope4Africa will grow and development under Noelia’s competent leadership! 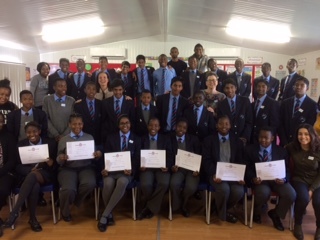 Fifty students across three high schools recently participated in Cherish & Courage in Johannesburg! Many of the students reported meaningful change in their lives. 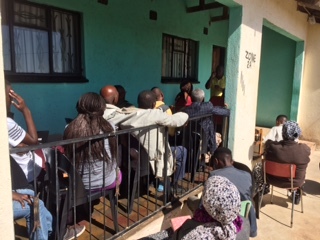 Ruth and Isabel (Hope4Africa intern) recently spent 3 days training a group of simple church members in community engagement. 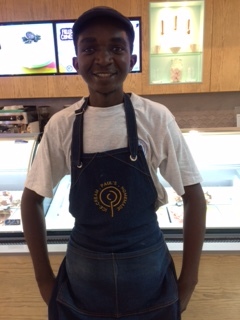 Moses, one of our first graduates of English classes has now gained permanent employment. 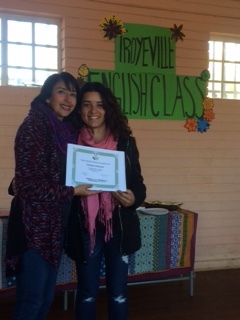 Denisse, our first international intern, recently spent three months with us in Johannesburg. In addition to improving her English by attending our classes, Denisse made many friends, and encouraged people in their faith journeys.